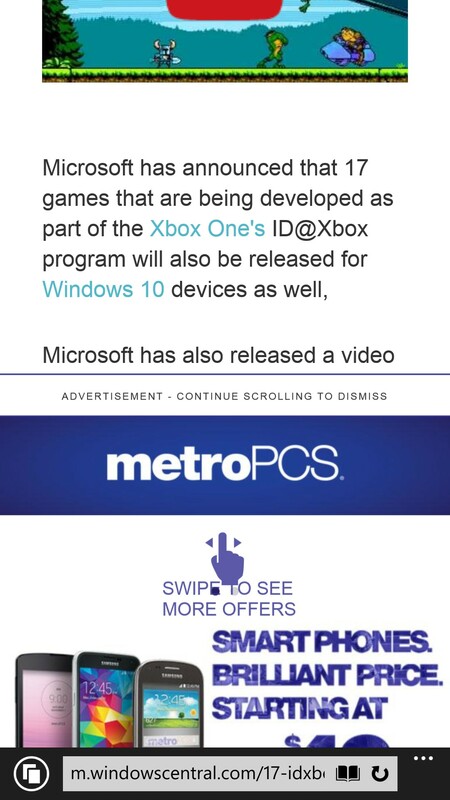 MetroPCS ad on mobile site needs to go! It's hard to get to go away, and annoying as hell. Can you provide a URL and screenshot? Ok. I'll be standing by. I second this. I get the same ad while browsing on my L1020/W8.1 using IE and the ad completely breaks the website. If the ad appears, most of the time I lose all ability to scroll (maybe only works properly 1/25 times). Have to completely refresh the page and hope that it doesn't come up again. Certainly understand the need for advertising, but when it completely breaks your site and drives traffic elsewhere, it seems kind of counterintuitive. Seriously f that ad. I can't scroll once I get it. I came specifically to rant about it but someone else beat me to it. Do you guys use your own website? Seriously makes me rage! Ad has been up for at least a month and still up. wtf! Choosing a phone based on celluar frequency bands?